Whenever it comes to enjoy music, everyone wants to get the best quality of sound. It is almost impossible to compromise on the sound quality while buying headphones. Music can be the best therapy for one, who is getting bored. When you have nothing to do, you can enjoy music for entertainment. If you want to enjoy your favorite music undisturbed, you will surely prefer to listen through closed back headphones. Most of us want to listen to music while performing tasks off normal routines. So for such kind of music lovers, having a headphone or earphone with them is necessary. But it can be difficult to decide which headphone is best for you according to your needs or desire. I have detailed information about the Edifier H840 headphones (affiliate link) for you. If you do not have enough money on buying high-end headphones, the Edifier H840 can be a good alternative. They have a decent sound quality and are available at an affordable price range. These are entry level quality headphones. Appropriately to their price, the Edifier H840 offers you a life-like quality of audio. These headphones feature with a classic but simple look. The lightweight body with its leather headrests lets you wear them with comfort. The softness of its earmuffs makes it comfortable for you to have the headphones on for a long time. The Edifier H840 headphones base on a 40 mm electro-acoustic single driver unit. The enclosed ear cups amplify the sound effects in the lower region. The headphones provide a pure life-like sound experience at 32-ohm impedance. Also, their driver units are tuned so fine that the quality of sound is at a professional level. With the H840, you can definitely enjoy listening to your music. You could say that they are excellent entry level headphones for everyone. The low price of the Edifier H840 headphones (affiliate link) is one of the most attracting features. Right after the quality of sound, you could focus on the price. You surely want to get a lot of features and an excellent quality at a low price range. Not every one of us can afford to pay high prices for getting a pair of headphones. Edifier tried to solve the cost issue and they made it. Everyone might be able to afford them and enjoy their music without interruption. They now provide one of the finest headphones at a very low price. When you want to enjoy your music, you do not want to be interrupted or disturbed. But when it comes to professional tasks you surely want to have a secure connection. Edifier H840 over-ear headphones provide you with a secure connection. You can either complete your official task or enjoy music without any disturbance. These headphones come with a gold-plated 3.5 mm plug that ensures a quality connection. The wire has a length of approximately 2 m (6 ft.). So you are able to enjoy music from a far enough distance to your device. A warranty of a product is something that can make you even more satisfied with your decision. For the customers of the United States of America and Canada, Edifier gives a warranty of 12 months. This is enough duration of warranty that you can get with a low-price product. The given warranty will ease your mind after you invested in a new pair of H840 headphones. Sometimes, you want to wear your headphones all day to complete multiple tasks. You surely want to get the headphones that you can wear without discomfort. If you have adjustable headphones you can wear them comfortably. Because they fit perfectly, you don’t need to adjust them again and again during your any activity. They have soft leather ear cups and an ergonomic design. For some of you, the ear cups may be a little bit too small. Even so, these headphones provide you with the best possible comfort. You will feel at ease while using them. The Edifier H840 is the best example of a superb design at best comfort. One could say, Edifier H840 is a good choice in the low-end market. It is a good-quality product to avail at an affordable entry-level price. You can expect a marvelous bass-driven sound quality. They are comfortable even after many hours put on. A little negative to state is the overall and ear cups size. They fit perfectly, but not over big ears or on big heads. 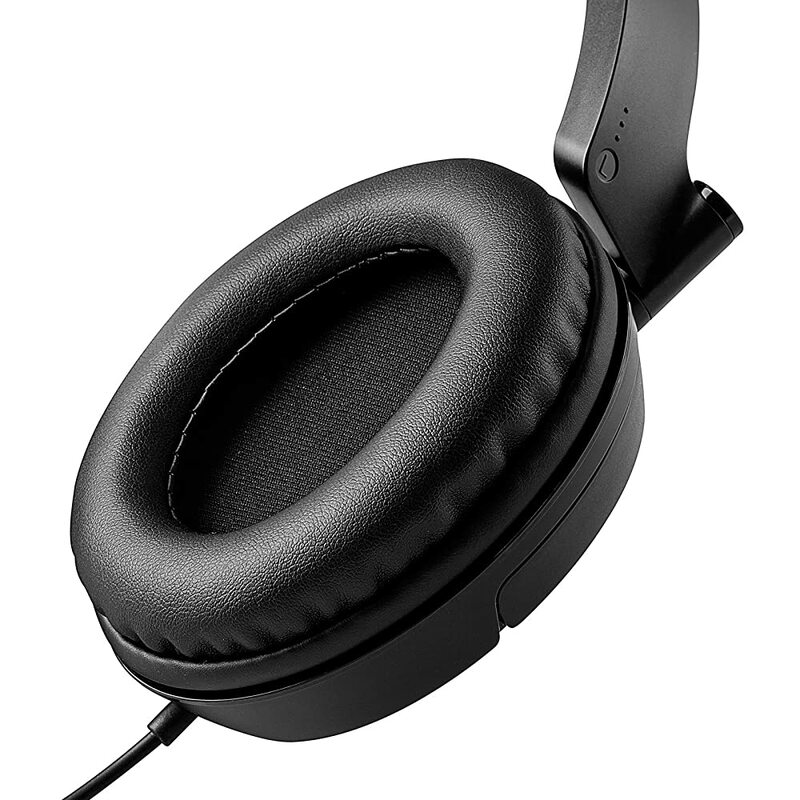 Even so, the Edifier H840 headphones (affiliate link) are a superb decision at entry level. The sound quality is above everything else in the price range under 50 bucks. I believe that you simply can do with a few percent to drive the message house a bit, however other than that, this is wonderful blog.